AGRA, India -- Huge crowds were already expected to jam the grounds of the Taj Mahal in celebration of the lavish building’s 360th birthday. Now, with a report from India’s Uttar Pradesh state government that the monument may be sinking, officials expect those crowds to swell by tens of thousands. 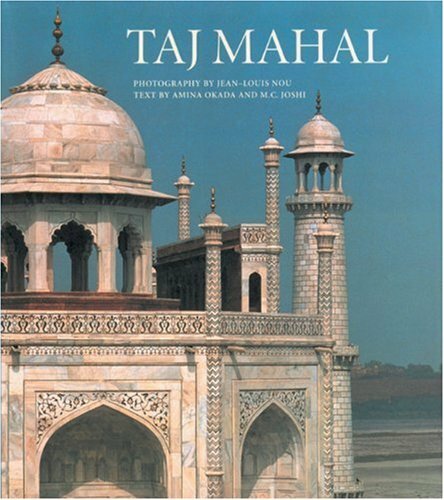 Tour operators around the world have been swamped with requests for passage to Agra. India Airlines is adding more planes and more flights as the airline strains to keep up with demand. This is, of course, good news for the region, which expects the revenues of local businesses to double in the next year. T-shirt manufacturers and souvenir suppliers in nearby Asian countries are working around the clock to fill orders placed by vendors near the majestic edifice. But the good times may not last. Rumors are circulating that workers have been secretly tunneling under the monument to purposely give it a slight tilt. And there may be something to those rumors. It has been learned that in April 2011, Indian government officials met with Italian engineers in Pisa where they were told that the famous tower in that town could easily be straightened within a month. However local government officials, under pressure from businesses in Pisa, have refused to issue permits to do the work for fear of losing tourist trade. A study commissioned by the Pisa Regional Planning District found that if that town's landmark is brought upright, tourism would fall by over 90 percent. In a related story, it was revealed that representatives from the Office of French Tourism were present at the meeting in Pisa and have now proposed to move the Eiffel Tower 4 degrees off kilter to make it a more "imposing" feature in the city and to give tourists who have not visited the city's landmark for years a reason to return. When contacted by Err Travel, French officials would neither confirm nor deny these reports but did note that the government would be undertaking an effort to beef up the easternmost leg of the tower.